First, thank you so much for all of your encouragement, support, thoughts, and prayers. We are so grateful and so overwhelmed by all the love that we’re receiving for us and our babies. 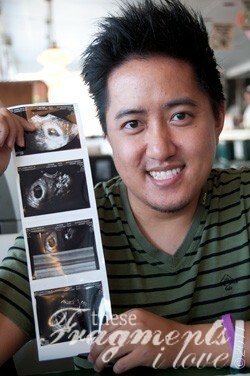 Second, as you can tell from this photo, our ultrasound went well. We were able to see Bumble Bee today (fetal pole) and the sweet flicker of our baby’s heartbeat, which was beating at an amazing 132 bpm. I am still taking it in. I still can’t believe baby number four is alive and well in my womb. I hope, I pray I can nourish and sustain this little love to term and hold Calvin, Rainbow, and Gaelen’s crying sibling in my arms next summer. Thank you again for carrying us through the anxiety leading up to this ultrasound and for walking this journey with us. thank you for sharing the good news! keep growing, Bumble Bee! Grow well and strong BB (Bumble Bee!)!!! I’m SOOOOO happy for you!!! Sending much love and prayers! Sending lots of hugs and prayers! Yaaaaaaaaaaaaaaaaaaaaaa!!!!!!!!!!!!!!!!!!!! I am so happy for you!